Nutter will host ACG Boston’s program “Industry Spotlight Series−Opportunity Amid Disruption: Driving Growth in the Consumer Goods Industry” on May 25. The event will feature keynote speaker Paul Raffin, CEO, Board Member and consumer trend expert, who will give a top-level overview of the industry, followed by two panel discussions that will explore the growth drivers in consumer goods, how game-changing technology has played a role in disrupting the industry, and where the new investment opportunities will be coming from. 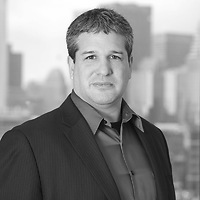 Jeremy Halpern, a partner and the Director of Business Development for the Emerging Companies Group, will serve as panel moderators. Jeremy will moderate "The Changing Role of Retail in a Tech Driven Environment" panel. ACG Boston’s “Industry Spotlight Series” events are held four times a year and are determined by M&A activity. The series provides overviews and deep dives into the latest activity surrounding industries including consumer, health care, manufacturing, and technology, and brings together M&A deal professionals focused on specific verticals. ACG Boston, the Boston Chapter of the Association for Corporate Growth, is the premier member-based association in New England helping middle-market M&A professionals build and maintain trusted networks, facilitating relationship-building and providing deal related content to the middle-market M&A community.